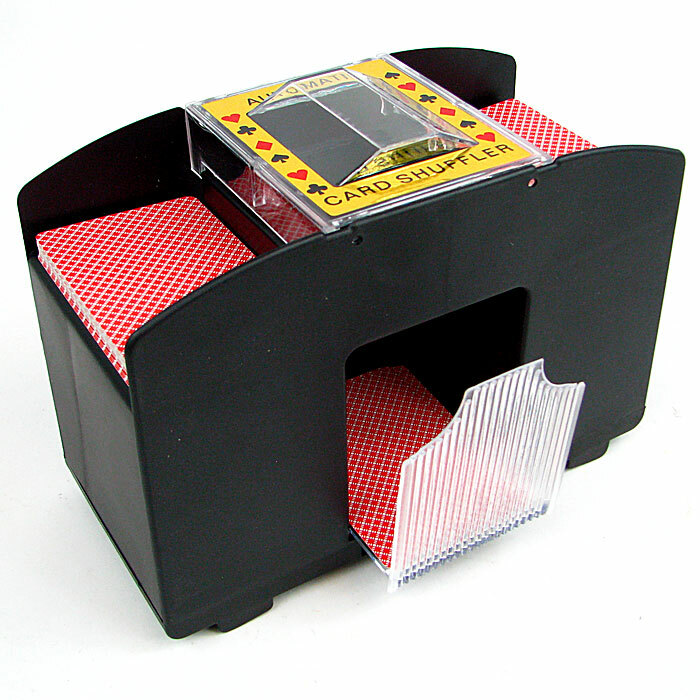 This Automatic Card Shuffler (4 Decks) is battery operated. It shuffles standard or bridge sized playing cards. Playing cards and 4 "AA" Sized batteries not included.